Center Parcs has announced plans to open a new holiday village in Northern Ireland in 2019. 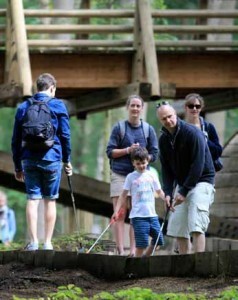 Center Parcs has announced plans to develop a holiday village at Newcastle Wood in County Longford, Northern Ireland. The new development will feature up to 500 lodges, more than 100 indoor and outdoor activities, a spa, a range of restaurants and the iconic subtropical swimming paradise. The 375 acre site is currently owned by Coillte, the state forestry company and Center Parcs has signed an option agreement with the company. The new Center Parcs, which is expected to open to guests in 2019, will create approximately 750 jobs during construction. Once open, the €200 million development will have capacity for up to 2,500 guests and will employ up to 1,000 people in permanent jobs. Center Parcs estimates that, when operational, the new holiday village will add approximately €32 million to Irish GDP per annum. Martin Dalby, CEO of Center Parcs, said: “We are thrilled and excited about the prospect of bringing the Center Parcs concept to families in Ireland. “This new Center Parcs will have all of the ingredients that have made us so popular with families in the UK for the last 28 years and I am certain that Center Parcs will be a great success in Longford.